Will their friendship survive against all odds? 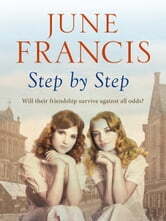 In the early 1900s two girls see each other through good times and bad. 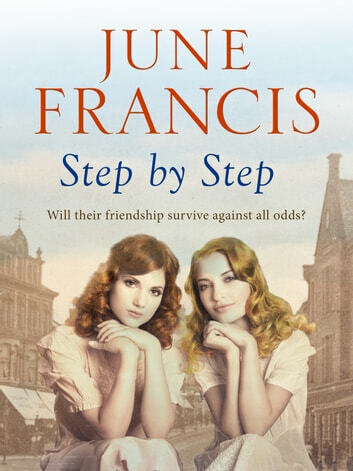 But can their friendship endure when an dreadful act of violence sees their families turn against one another? Hannah Kirk and Alice Moran have been friends since childhood. Growing up in the back streets of Chester, they support each other through hard times. But when Alice’s mother dies in childbirth, the girls both must take on great burdens. Alice’s violent father attacks Hannah’s mother and the friends are separated when Alice is forced to flee with her father while Hannah cares for her bedridden mother and the rest of the family. As Hannah struggles to cope and suffers awful mistreatment at the hands of her devious older brother, she questions whether Alice is her friend – or the cause of all her troubles. Will Hannah and Alice reconcile, or are the wrongs of the past impossible to make right? Riveting read. Could not put it down. Brought so many memories back of the Wirral and Chester where I used to live before I emigrated. The ending surprised me and wished it had a more definite conclusion regarding Susanna. Absolutely loved, kept me riveted the whole way through. Thought it started out a bit slow but then after 4 or 5 chapters, I couldn't put it down. Characters were very well developed. Couldn't wait to find out how and when the disgusting Bert got his "just rewards". A very worthy story. Another winner for Ms Francis! !